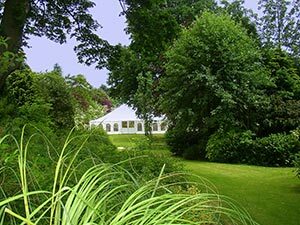 Looking to buy a marquee to hold events in? We can design a marquee to meet your exact requirments. Looking to expand your event space but can’t afford the huge expense of construction? Perhaps planning permission is an issue? Then a marquee might just be the perfect option. If you’d like more help or information about our marquee manufacturing call 01953 882 394. We are more than happy to talk through your options. A marquee is a semi-permanent structure and as such does not require any planning permission. They can also be designed to fit any size or space, so you can buy one that serves all the functions of a purpose-built extension, without the disruption of a six-month building project. Also, you won’t have to wait for months while your application is processed only to find out that you’ve been turned down despite having paid out for the plans and processes. What’s more, marquees are blank canvases and can be designed to accommodate a number of design styles and colour schemes. For event spaces, this is especially advantageous as it allows a greater degree of flexibility for a wide range of uses, from weddings to corporate functions. However, the main advantage of event marquees to buy is undoubtedly the cost. For a fraction of the price of a purpose-built event space, you can increase your accommodation and catering space, allowing you to provide for clients and guests.